It appears Netflix original films are finally starting to catch up to their original series, as 2019 will see highly-anticipated titles such as Velvet Buzzsaw, The Irishman, and Paddleton, to name a few, hit the streaming service. And among the many projects in the works is The Devil All the Time, a film helmed by Antonio Campos. 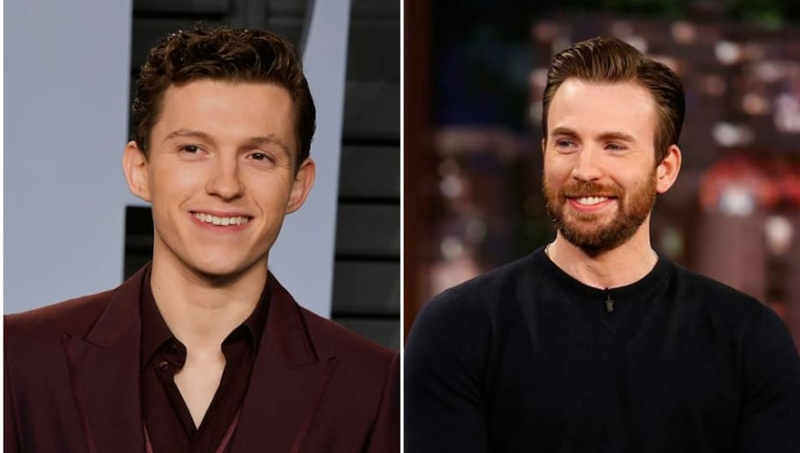 The film, which according to its IMDb page "follows a cast of compelling and bizarre characters from the end of World War II to the 1960s," will star Marvel co-stars Tom Holland and Chris Evans, among a very star-studded cast including Robert Pattinson, Bill Skarsgård, Mia Wasikowska, and Eliza Scanlen. This listing alone is enough to get many excited. This is set to be the fifth time Holland and Evans co-star alongside each other, as it will be released after Avengers: Endgame. Their other films include Captain America: Civil War, Spider-Man: Homecoming, and Avengers: Infinity War. With Evans rumored to be done as The Captain after Endgame, we're not sure if he will appear in Holland's second standalone film, Spider-Man: Far From Home, due out in July. No exact release date is set for The Devil All the Time, but we can expect it sometime in 2020.